Comment: Carpenter bees activity on second floor balcony. Ant activity inside house. Comment: I see ants crawling up front gutter drain and into roof overtop front door. Comment: I noticed some large bee-looking insects hanging out in my back porch and garage areas. Comment: Remove a bee hive. Wilmington Pest Control Services are rated 4.67 out of 5 based on 1,540 reviews of 14 pros. 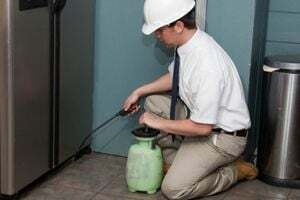 Not Looking for Pest Control Contractors in Wilmington, DE?